Fixing a Bike. Every day close on 30 boys cycle to Holy Family BNS. This is part of An Taisce’s marvellous “Cycle On Wednesday” or COW for short, initiative to promote Green transport. As an addition to this fantastic project Chiara Hanrahan and Ally Menary from An Taisce held a bicycle maintenance class in Holy Family BNS’s PE hall. It was just a brilliant success. 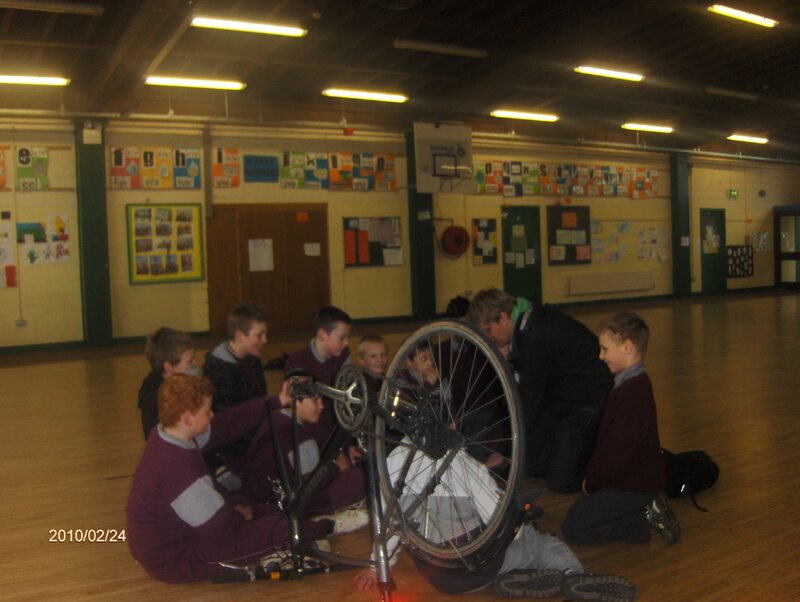 The entire bicycle maintenance class fascinated the boys and now they know how to fix a puncture! The boys loved the lesson and would wish to thank Chiara, Ally and the Green School’s Committee for organising this excellent project. Click on above page link “Fixing a bike!” for more photos.